After looking through forum posts, I thought it had something to do with termcap on the remote machine, but that appears not to be the case; I can initiate screen with no errors from an ssh session from another computer, one to which I don't generally have access. This suggests that I need to configure something on my local machine, but I haven't been able to figure out what or how. Although this post is tagged "gnu-screen" I suspect that I'm working with Berkeley screen, though I don't know whether that is a significant distinction. You get the error because on your mac you have TERM=xterm-256color, and xterm-256color is not in the remote machine's termcap. You don't get the error when you connect from the other computer because it has its TERM variable set to something else. But you can also as root (or ask root) to add the termcap entry to /usr/share/misc/termcap. That would fix it for all users. 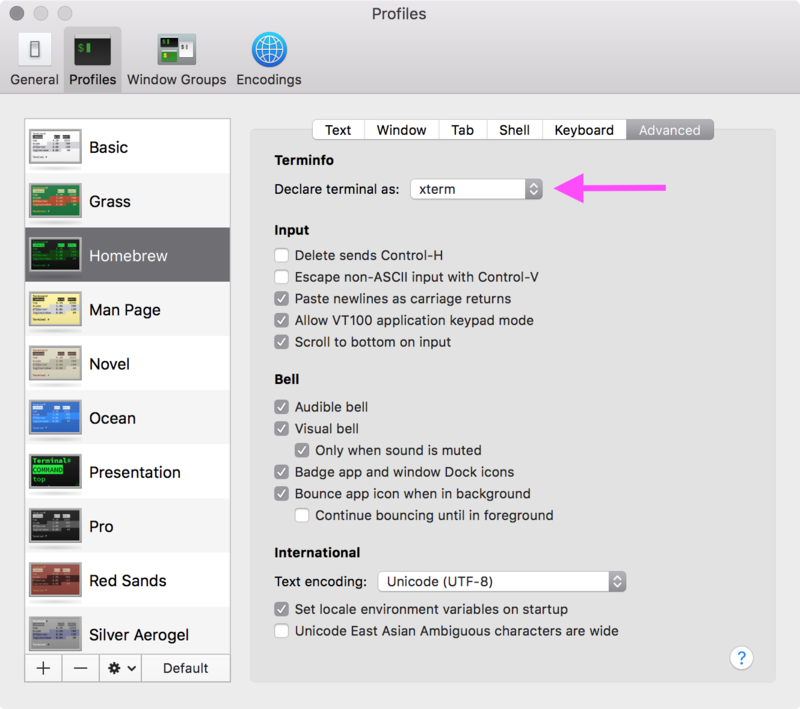 In OS X, under the tab Profiles, then Advanced, then Terminfo, switch from xterm-256color to xterm. Not the answer you're looking for? Browse other questions tagged macos ssh gnu-screen termcap netbsd or ask your own question. How do I get the F1-F12 keys to switch screens in gnu screen in cygwin when connecting via SSH? screen: how to turn on alternate screen? How to gain SSH access from an AWS instance to another without private key?